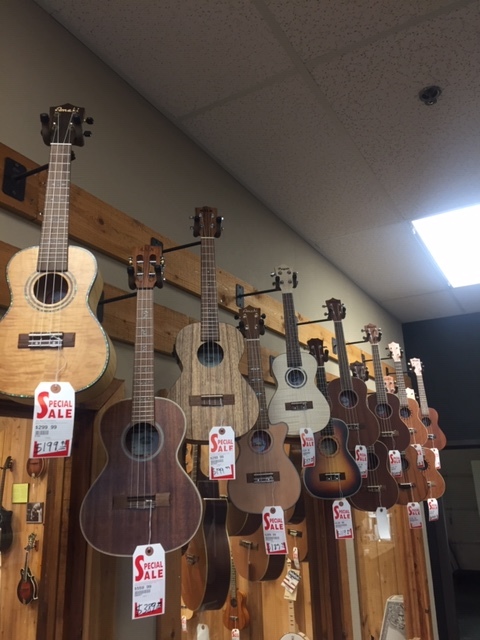 Ukuleles are very close relatives to guitars. 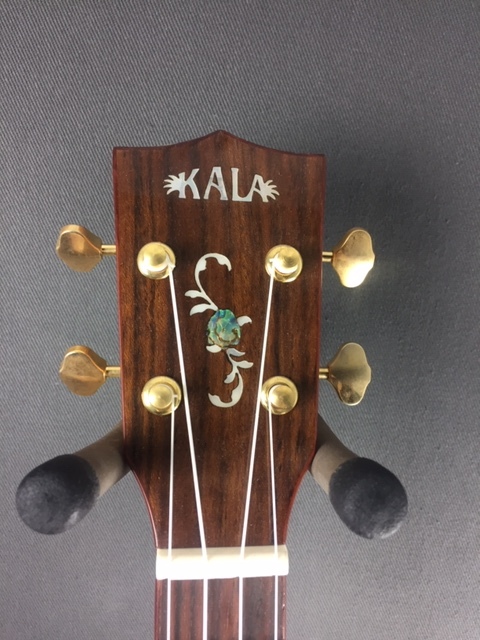 Normally 3 of the 4 most common sizes, Soprano, Concert, and Tenor are all tuned to A-E-C-G, which are the same notes as a guitar’s high 4 strings capo-ed at the 5th fret. 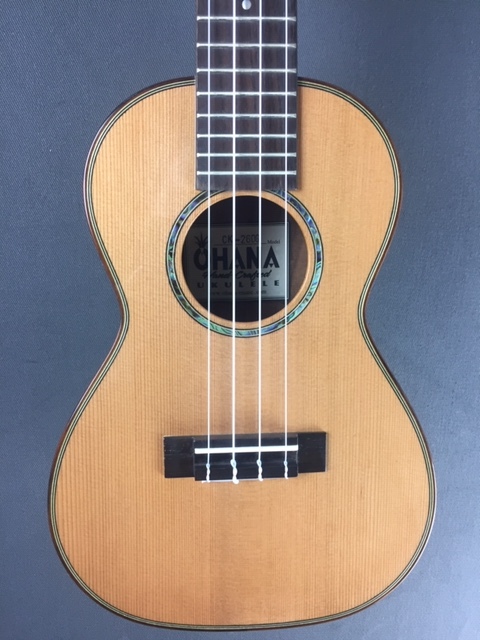 Usually the G string is an octave higher than on a guitar, but can be tuned to the lower octave. 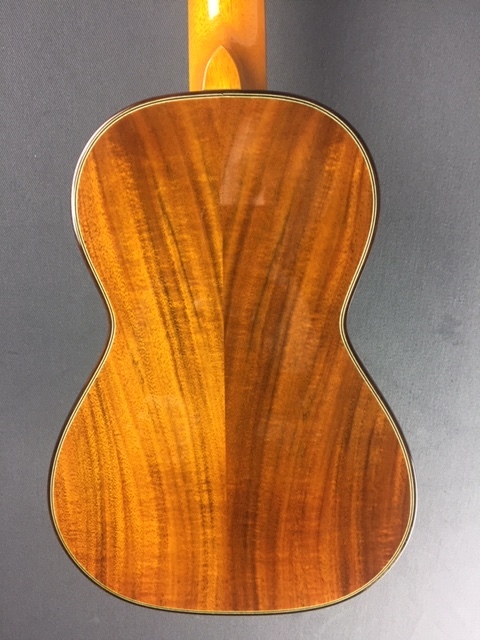 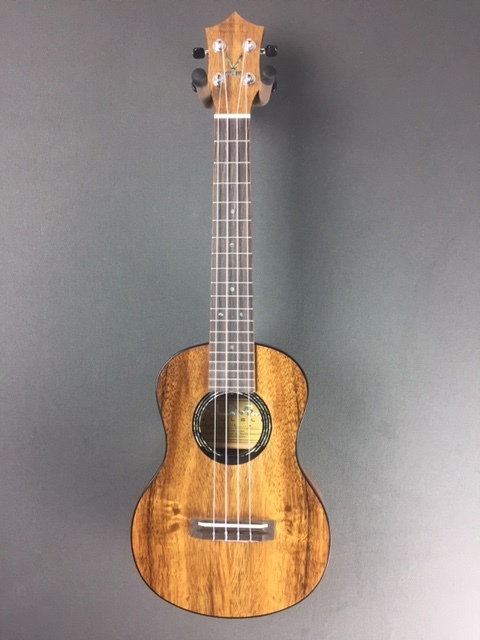 The Baritone Uke is tuned exactly like the high 4 strings of a guitar (E-B-G-D), and so is exactly like a guitar with the two lower pitched strings deleted. 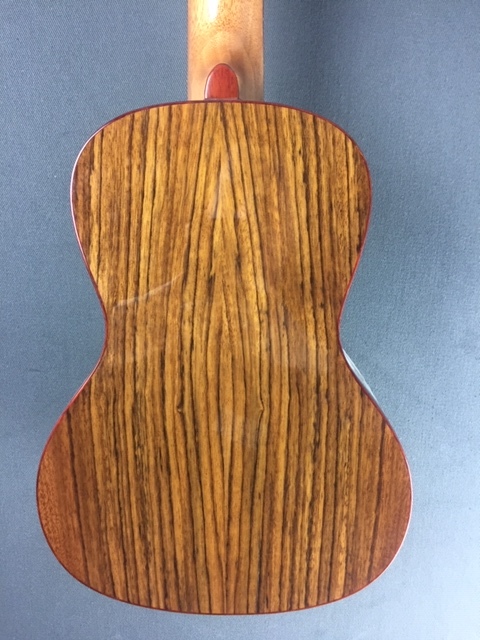 Consequently all the chord shapes are the same as on a guitar. 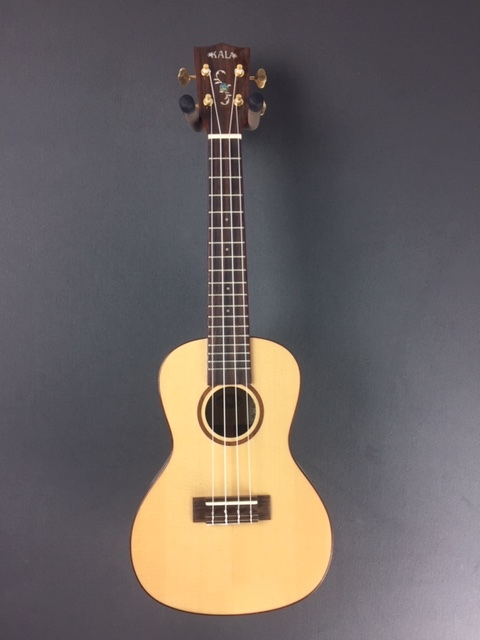 The classic D chord (three fingers on the first 3 strings of a guitar), is identical on a Uke, but results in a G chord….just as it would on a guitar with a capo at the 5th fret. 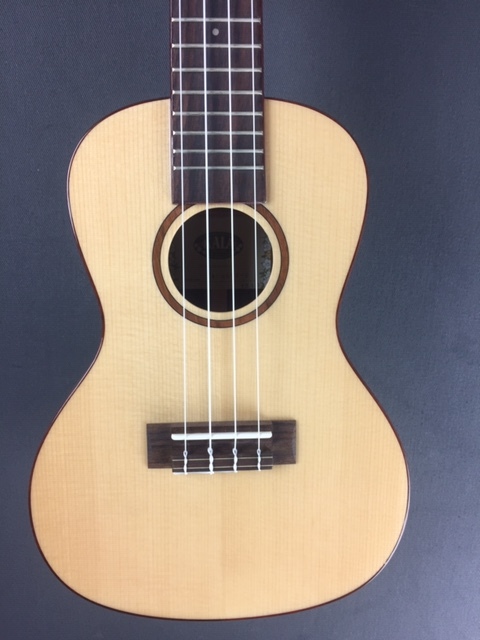 Of course, since so many of the chords are just one or two fingers on a uke, that might be three or four on a guitar, the uke is simpler to play and much easier to learn, especially for a younger beginner. 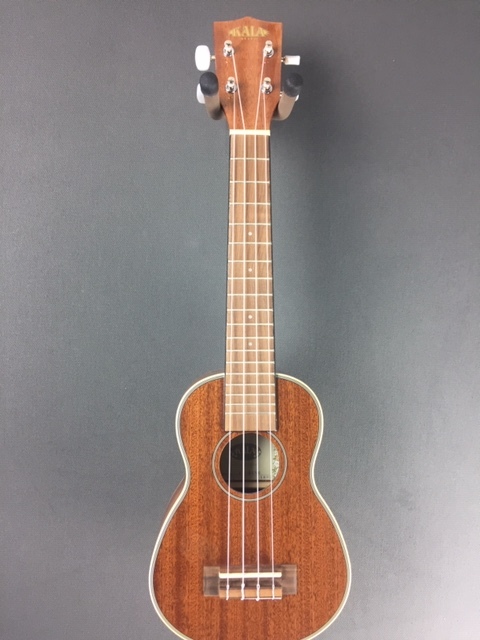 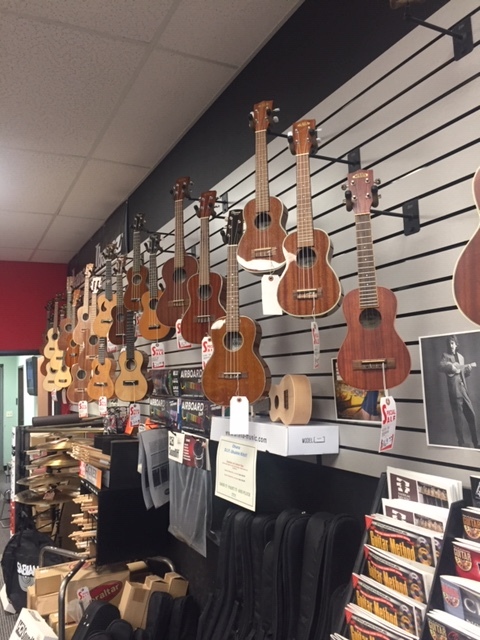 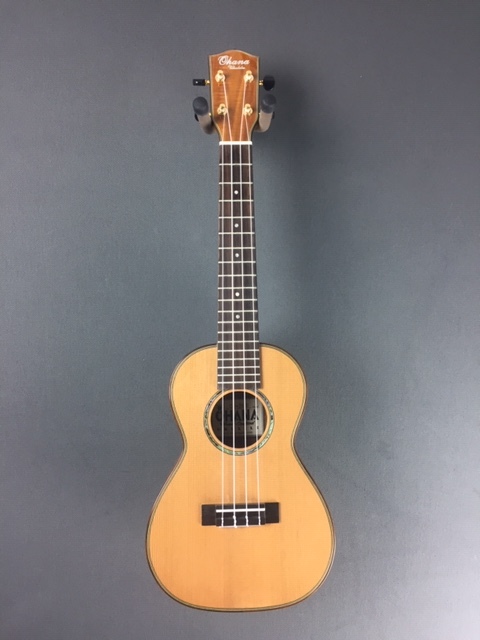 On top of all that Ukuleles can be bought for very reasonable prices with really nice ones selling between $100-and $250, give or take. 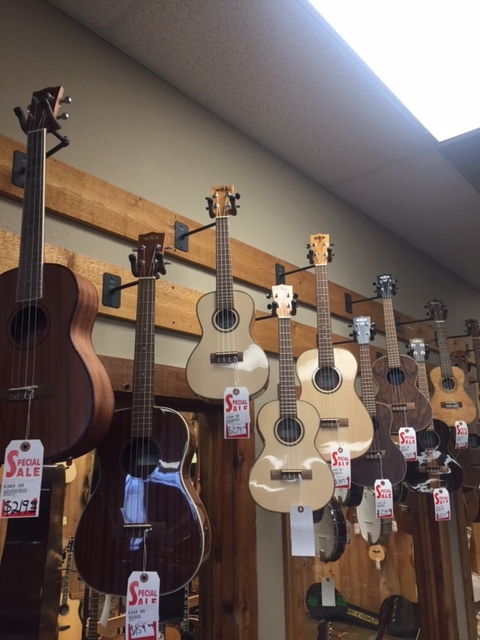 Come see the best selection in a several state area, here at OKC Music and Sound. 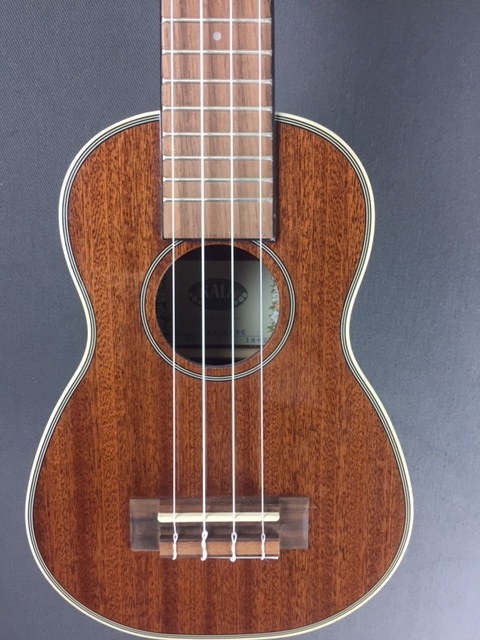 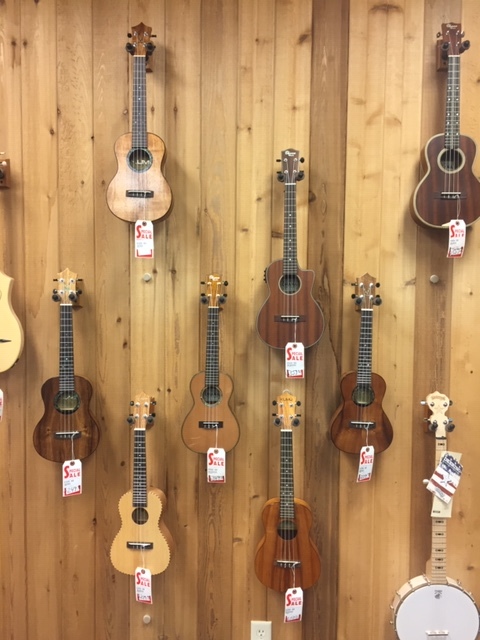 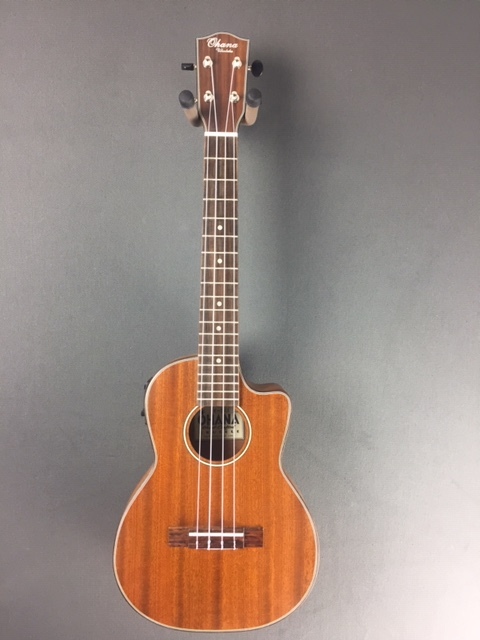 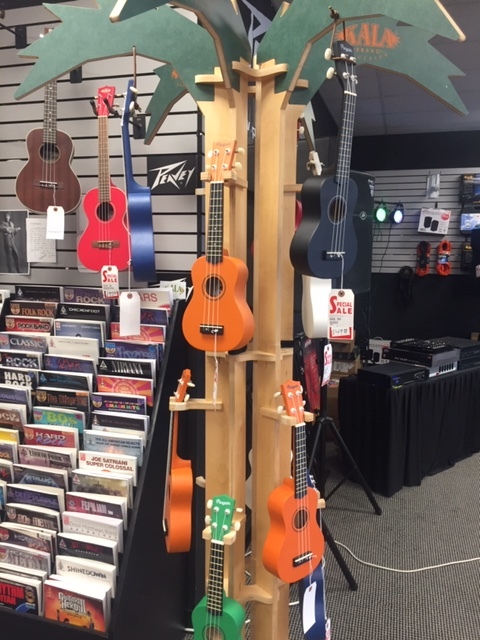 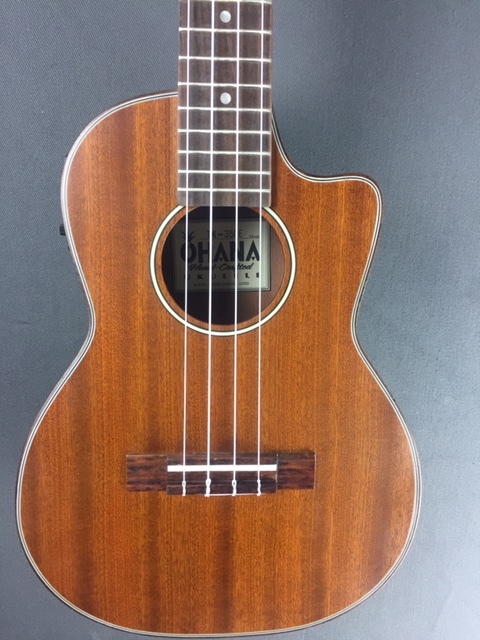 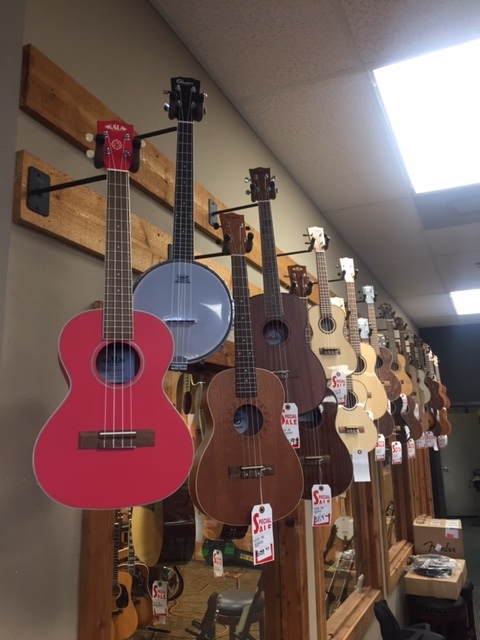 We generally have 60+ Ukuleles in stock from a variety of makers. 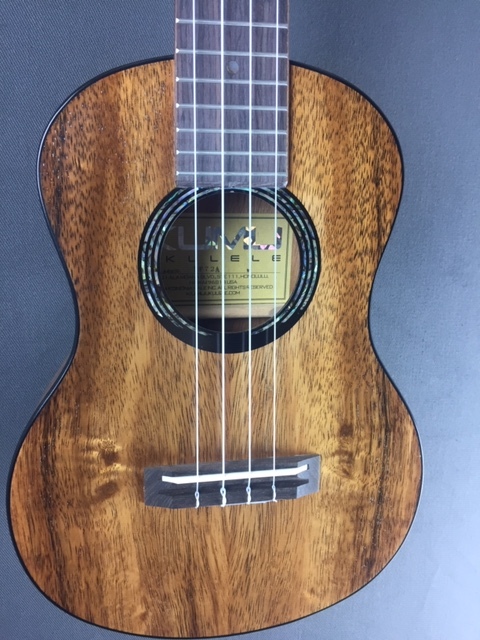 Please inquire about any configuration you may be looking for, or better yet, come play them!